This PC-Video Card is used as a central unit for any kind of video observation. 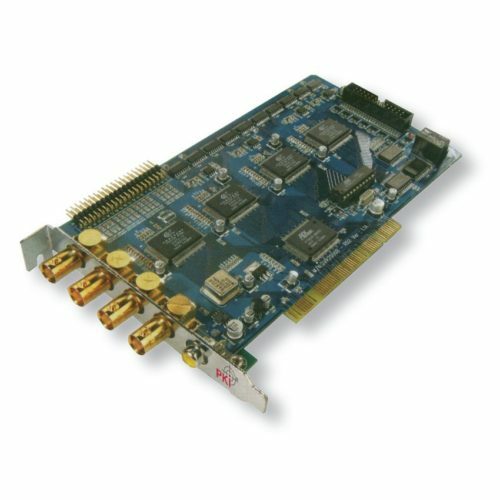 Live observation via display, recording, monitor-splitting, camera remote control and many other features are possible with this unique PKI 5285. All signals can be transferred either via telephone lines, internet or networks. Any alarm message can also be sent via e-mail to another PC or by SMS to any mobile phone. An acoustic and optical alarm sensor is also included for detection of any movement/ change in camera pictures. Up to 4 cameras can be connected with best possible recording quality (MPEG4 or Wavelet). Optionally this unit can be supplied with 8 or 16 video inputs. Other features: weekly timer, digitally evidencing water mark, automatic alarm transfer, comfortable play-back and interpretation functions, databank, crash recovery, info-overlay etc.